I’tikaaf programme and other programmes as well. We hope you benefit from the content on the site and encourage others to visit. Hadrat Mufti Muhammad Saeed Motara Saheb (hafizahullah) is the Khalifa of Faqeehul Ummah Hadrat Mufti Mahmood Hasan Gangohi (rahimahullah). He completed his Hifzul Quraan in Hardoi, India under the tutorship of Hadrat Maulana Abrarul Haq Saheb (rahimahullah). He then proceeded to Jamia Islamia Taleemuddeen in Dabhel, India where he completed his Alim course. Mufti Saheb (hafizahullah) then studied Ifta in Deoband by his Shaikh, Faqeehul Ummah Hadrat Mufti Mahmood Hasan Gangohi (rahimahullah). He enjoyed personal attention from his Shaikh during that time. 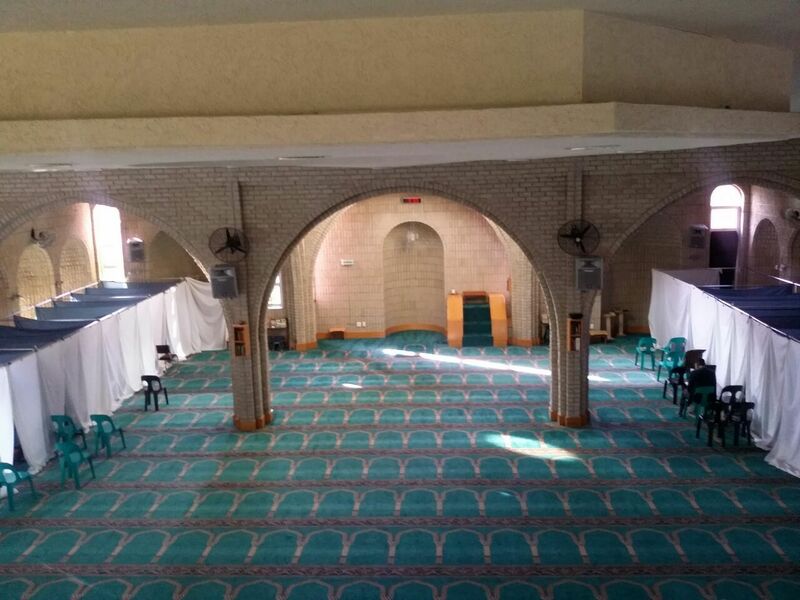 Currently He serves as the Head Mufti of the Darul Ifta at Madrasah Arabia Islamia, Azaadville, South Africa. 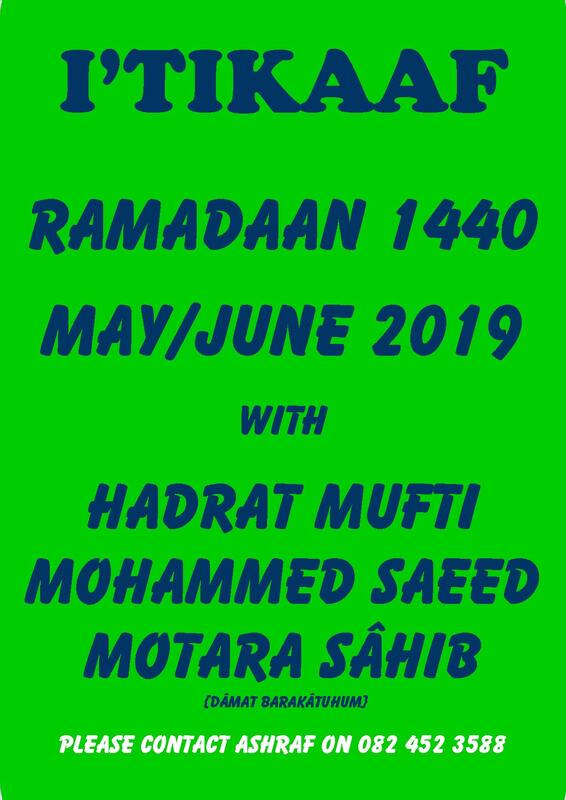 He is also a senior lecturer at the Madrasah where he currently teaches the Sahih of Imaam Bukhari (rahimahullah) among other books of Hadith and Fiqh. 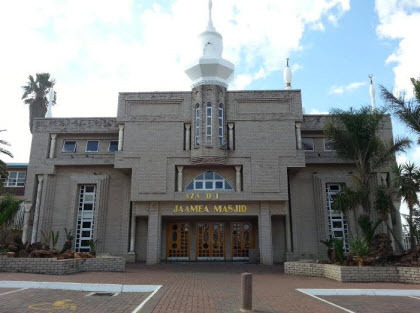 Hadrat Mufti Muhammad Saeed Motara Saheb (hafizahullah) conducts an Islaahi Majlis on the first Saturday of every Islamic month from Asr to Fajr at the Jamia Masjid in Azaadville, South Africa. He also has an I’tikaaf programme during the last ten days of the month on Ramadaan at the same Masjid. This site is dedicated to disseminate his monthly discourses, I’tikaaf programme and other programmes as well.